This day will go down as another unforgettable day in my life. It will forever be one of the days I can’t forget for the rest of my life. As it is, I am still coming to terms with dad slipping off within minutes to heaven almost two years ago (more at Nasi Minyak), on this day, when I received a call from my bestie’s family, I felt as though my worst fear is gonna come true. 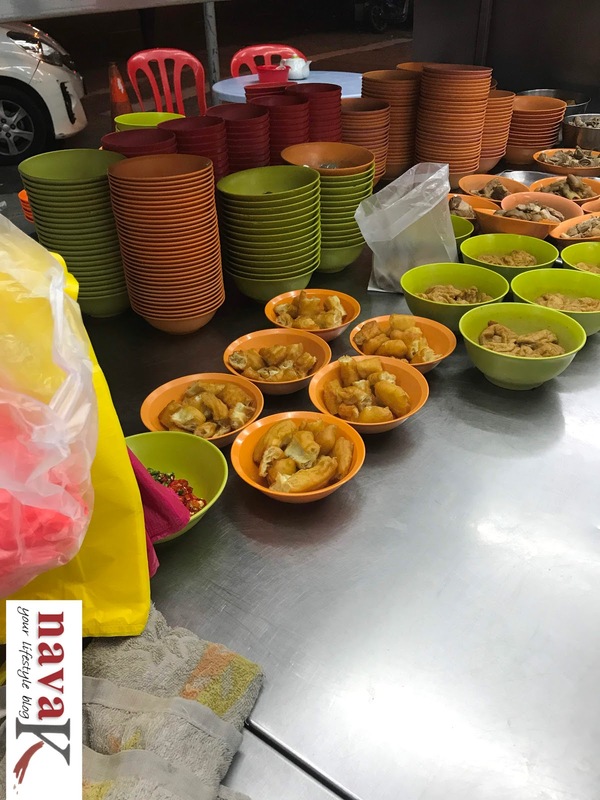 Remember, my 30 over years different race and religion friendship I already told you at Kepong Heng Bak Kut Teh & Restoran Meng Kee Klang Road? Tragic! Utterly shattering day. My heart pumped so fast upon hearing that my bestie had earlier collapsed at the medical center and is now in critical care unit. Still, instead of breaking down and crying, honestly everyone, I put up a brave front. I told her sista I will there soonest possible. Thereafter, I called my other half-half and sobbed non-stop like a child. Despite being prepared for the worst, I couldn’t accept the fact to her slim chance of gaining back her health. God have mercy please was the only thing running through mind. As it is again, I have so few friends, its my choice anyway, I guess my 50's (Melaka Jonker Walk & My Fifties - I Call The Shots) has thought me major friendship lessons and when one friend is potentially falling off from my list, believe me, it will massively hurt like hell. Anyway, with a heavy heart, I arrived at the medical center. To see my bestie all wired up, as well as blood oozing continuously from her mouth because her stomach has raptured and that she is already brain dead, I wept quietly outwardly, but very loudly within me. We waited for doctor’s confirmation which really took a long while. By then, since I had forgone my dinner and with sadness too, I was trembling badly. So, I excused myself and with my co-pilot, we drove to the nearby PJ Old Town. The same area where my bestie used to stay. 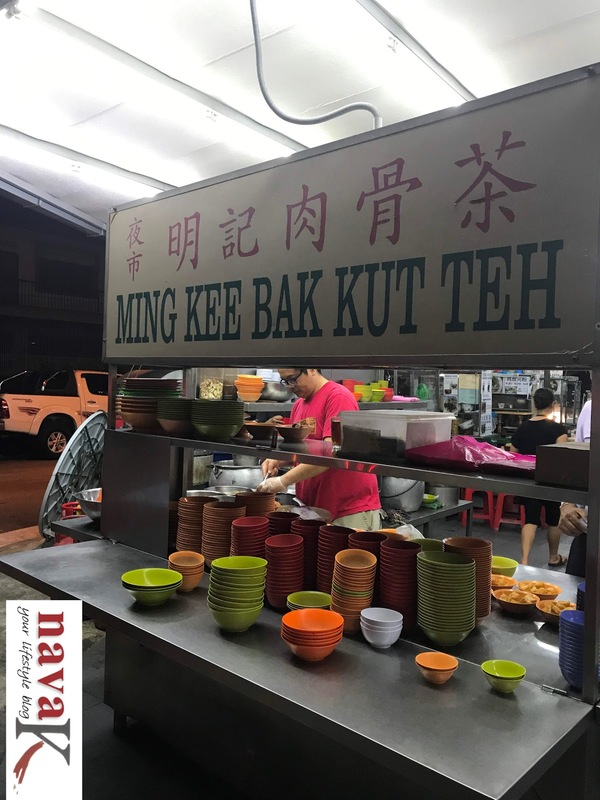 Those years, lets says 15 years ago, I also frequented Restoran Ming Kee. Been so long, obviously then I opted for Restoran Ming Kee at this hour, almost 11.30pm. 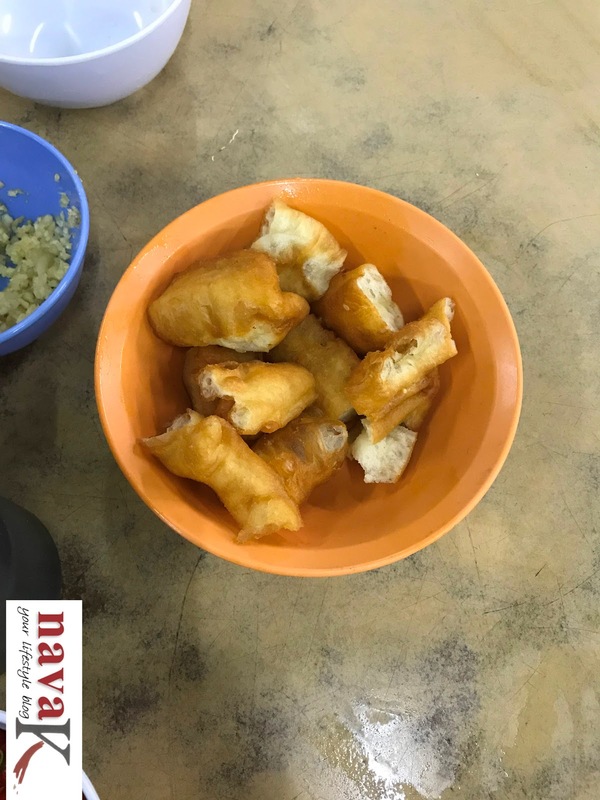 Restoran Ming Yee is a corner stall within a coffee shop. Stall! That’s it. Forget about cleanliness, forget about the surrounding and the type of customers, order your bak kut teh meal (Chick Kut Teh) and drinks, sit back and you will be served. Prompt service. 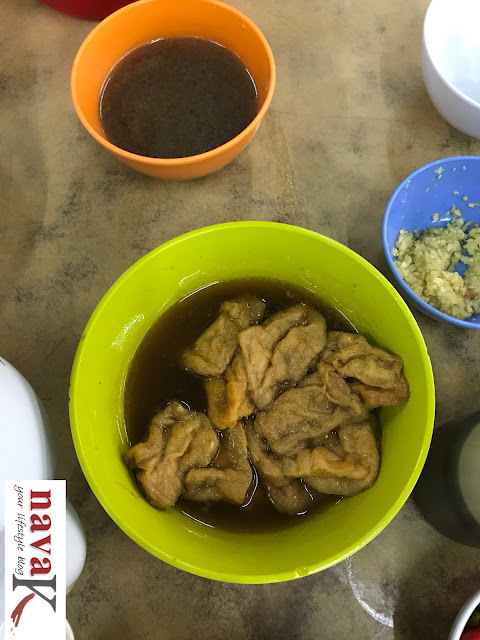 Pork bones and spare parts in Chinese herbs scented broth, soft tofu in the same or perhaps another type of broth, Yau Char Kwai/ Fried Dog Bone, Plain Rice and a pot of Jasmine Tea. 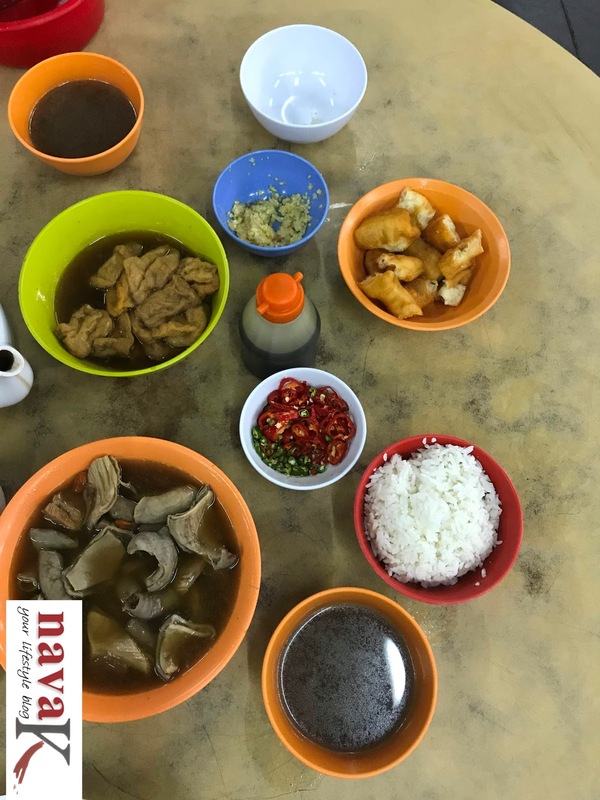 How did this bak kut teh fare? I think Ming Kee has lost it. I am disappointed. Tasteless cold broth, meat didn't taste fresh either. The only consolidation perhaps was tofu in the mild flavourful broth. Frankly speaking, nothing to brag about. Something seriously was not right somewhere, this meal didn’t captivate our palates and attention. I sincerely don’t know what else to say. I guess when a meal is not even pleasing, it’s just like that. 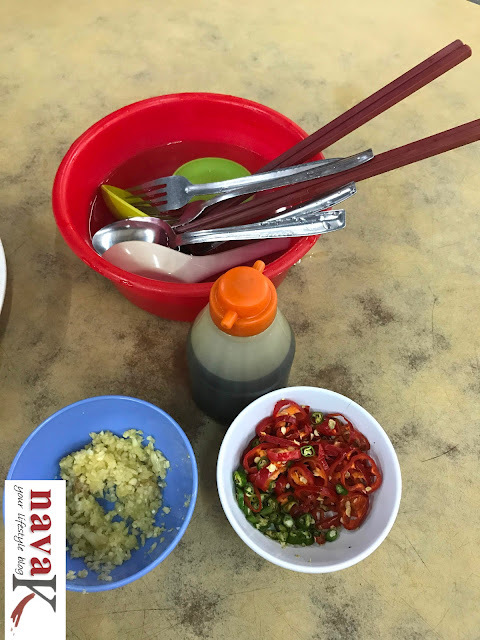 Usually, chillies and garlic in soy does a good job as the saviour for such a meal, in this case, they distanced themselves. 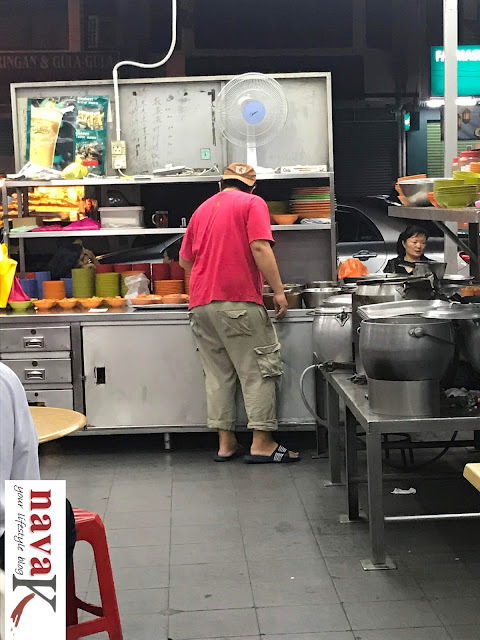 Nevertheless, surprisingly, a steady stream of customers were constantly walking into Ming Kee, majority somehow were Indians. Well, I guess bak kut teh has to be the food for bottles of beer, or its supper club after clubbing. We on the other hand didn’t even bother finishing-up, we settled the bill for RM35.00 and returned to the medical center. By 1.00pm, I felt that there is no point hanging around. I informed her family to call me when bestie is 100% doctor certified as gone. At 4.00pm, I got the call. Next morning, I sat outside the mosque while prayers were conducted, later, to the graveyard, before bestie permanently forever parted off from me. I love you ZZ. Thank you for your honest, sincere and imperfect friendship. You will always be on my mind. Thank you too for giving me another family, that is yours. Emak, kakak, abang, adik and the rest of your clan are now my family too. 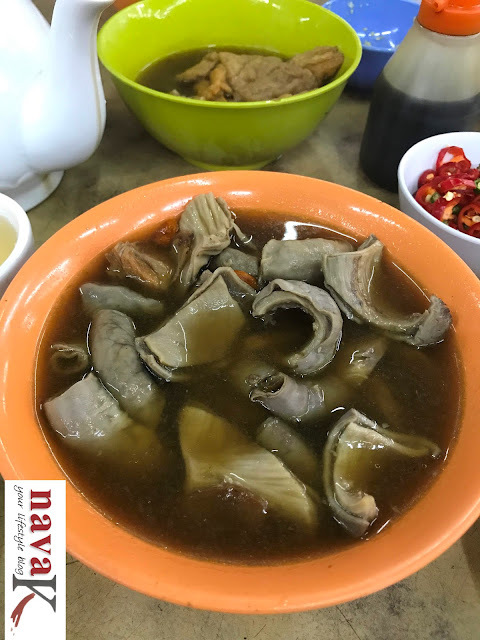 Broth is the soul of bak kut teh, right? If it's tasteless and cold...then it's a failure. Thank you again for your honest review, Nava. RIP ...sad to hear it.. I am so very sorry for your loss! Heartfelt condolences. So many good food to try. 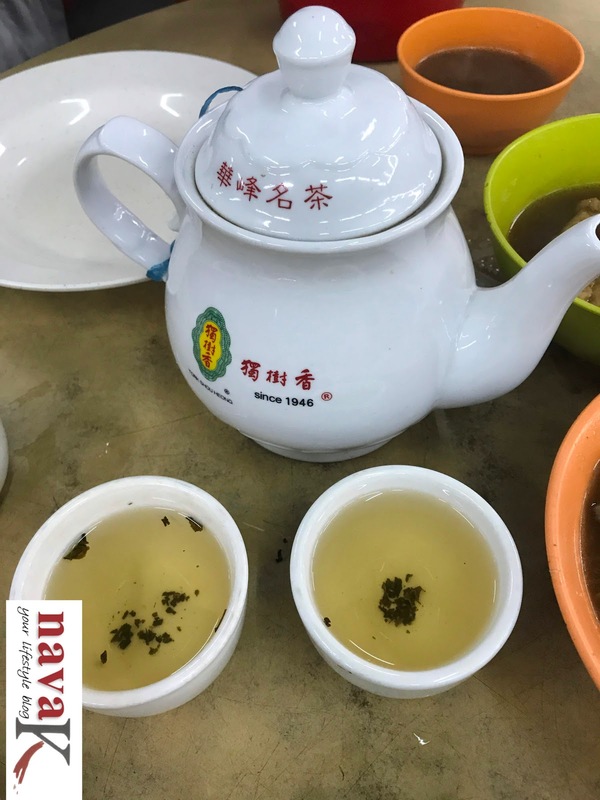 I love drinking Jasmine Tea. I find it to be one of the most relaxing teas.